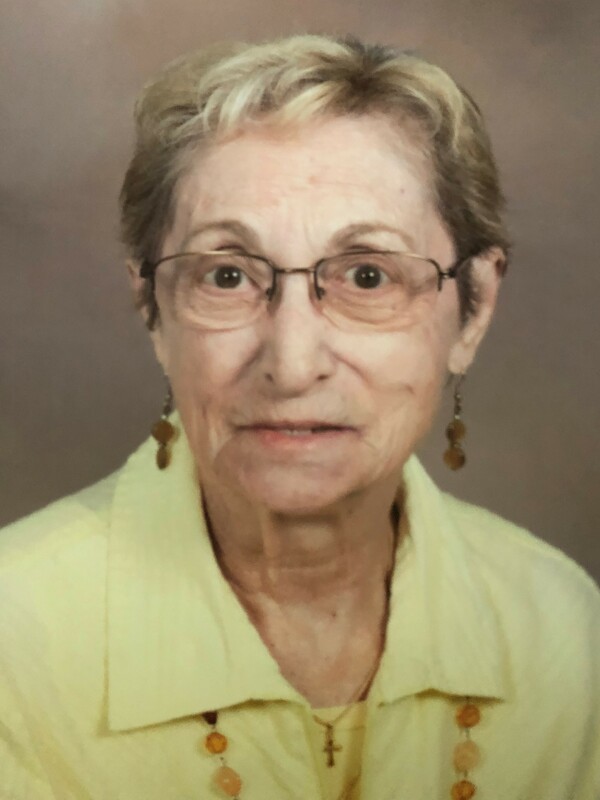 NICOLENA “Lil” T. ABATE (Palumbo), beloved wife of Joseph F. (deceased); dearest mother of Joseph, Donald (Barbara, deceased), Sharon Duffy (John) and Celeste Fischer (Stephen); dear sister of Theresa Filippo and Josephine Skur; devoted grandmother of 8; great-grandmother of 8. Mass of Christian Burial Friday October 12 at 10 a.m. at St. Paschal Baylon Church (PLEASE MEET AT CHURCH). Interment Lake View Cemetery. The family will receive friends at VICCHIARELLI FUNERAL HOME 5252 MAYFIELD RD., LYNDHURST (BETWEEN RICHMOND and BRAINARD) THURSDAY 3-8 P.M.